Connie Hogge has been an instructor of classical ballet and pointe since 1972. At age eight she began what was to be a decade of ballet training under the direction of Ballet Master Robert Irwin in Corvallis, Oregon. Connie went on to study and perform ballet, modern dance, folk dance, and pre-classic dance as part of the University of Oregon Dance Department. She has continued training with classes and teaching seminars throughout the United States including the Zena Rommett Floor Barre Technique Certification 2008. 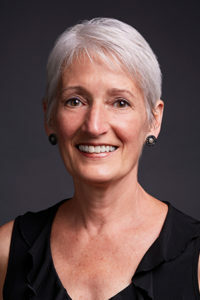 Connie served as Dance Program Director for Crossroads Creative and Performing Arts Center from 1973–1986 and Program/Curriculum Director for Pacific School of Dance (previously Pacific Dance Spectrum) 1988–2013. Connie is also the Founder of Dance Umbrella Repertory Company (currently Ballet Pacific). She served as both Artistic Director and Choreographer from 1993–2013.